Computational Non-coding RNA Biology is a resource for the computation of non-coding RNAs. 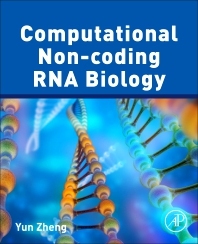 The book covers computational methods for the identification and quantification of non-coding RNAs, including miRNAs, tasiRNAs, phasiRNAs, lariat originated circRNAs and back-spliced circRNAs, the identification of miRNA/siRNA targets, and the identification of mutations and editing sites in miRNAs. The book introduces basic ideas of computational methods, along with their detailed computational steps, a critical component in the development of high throughput sequencing technologies for identifying different classes of non-coding RNAs and predicting the possible functions of these molecules. Finding, quantifying, and visualizing non-coding RNAs from high throughput sequencing datasets at high volume is complex. Therefore, it is usually possible for biologists to complete all of the necessary steps for analysis. Yun Zheng is Associate Professor in Bioinformatics at Kunming University of Science and Technology in China. He has been working in bioinformatics for more than 10 years, concentrating on non-coding RNAs, and has published over 30 papers in the area. He has developed novel tools for a wide-range of computational topics in non-coding RNAs, validated by influential work in the field of non-coding RNAs. Yun Zheng holds a PhD from the Nanyang Technological University in Singapore.